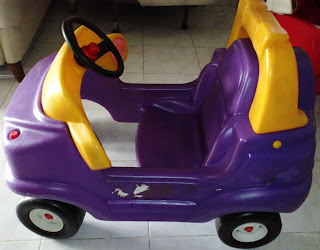 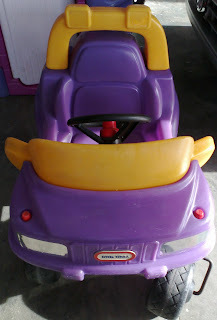 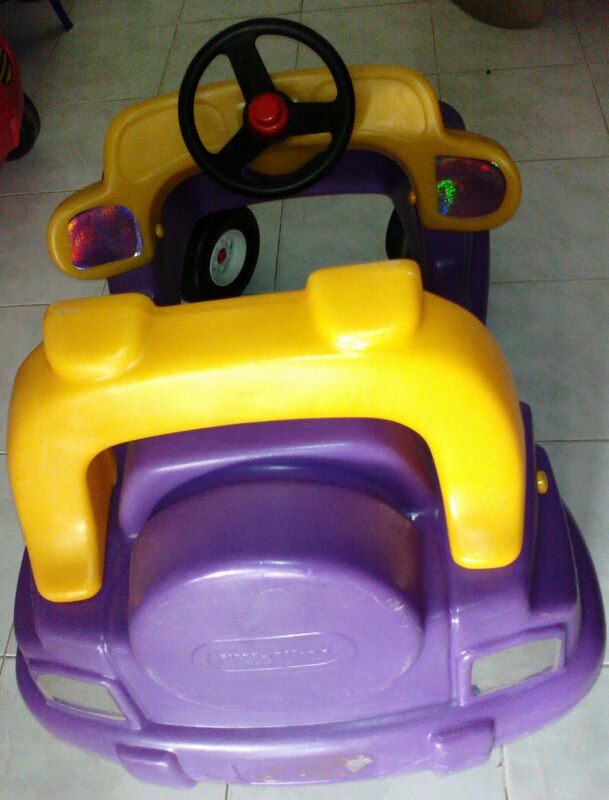 Sporty, hop-in car comes with an easy-grip steering wheel with working horn. Features rugged, “off-road” style wheels. 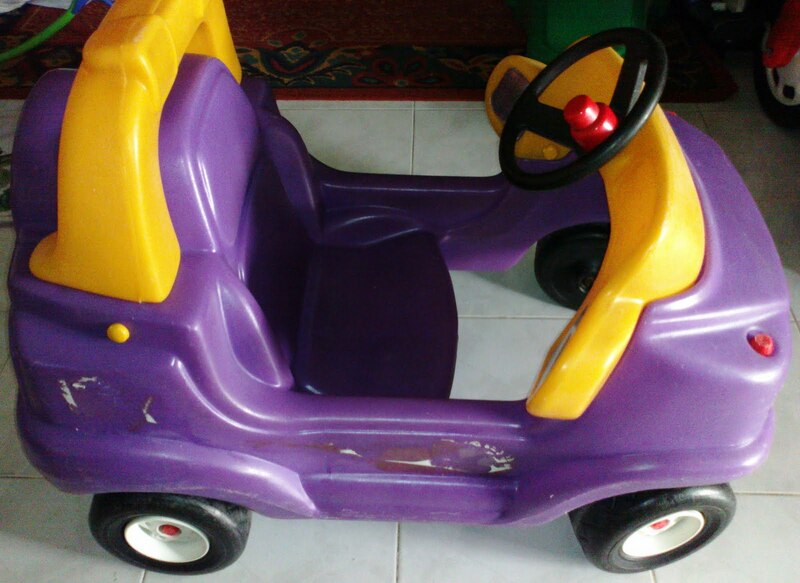 Swivel-action front wheels make maneuvering easy. Wide wheelbase is low to the ground for stability. Suitable for 1.5 to 5 year old kids.